Hey guys, how are you? Today I’ll talk you about how to choose your future wrist watch, to do know you which are the best characteristics of a quality timepiece. Today the market offers an almost unlimited choice of men’s wrist watches so it becomes increasingly difficult to understand whIch watch can do to our case because often many watches seem to have an almost identical appearance but with an abysmal price difference, and often we tend to buy the least expensive risking to buy an inefficient and poor quality product. So let’s see what are the main characteristics that must be taken into consideration when deciding to buy a watch. 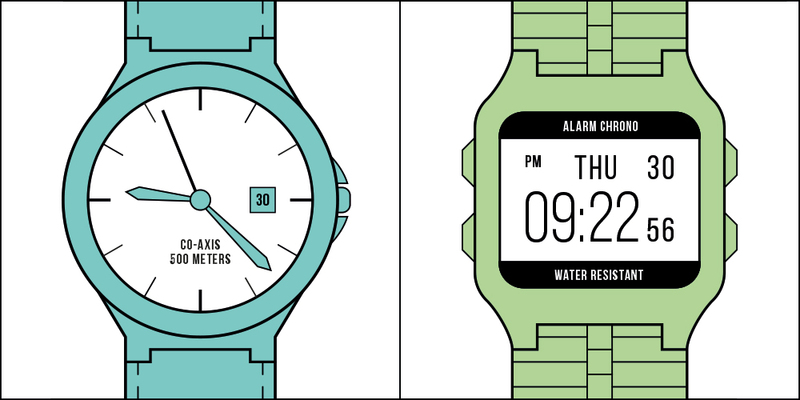 ANALOG OR DIGITAL WRIST WATCH? This is definitely the first evaluation you need to do when you intend to buy a wrist watch. These are two types of watches very different between them so the choice depends more from aesthetic and personal taste. Essentially, analog wrist watches are much more elegant, and much more suited to meeting and business dinners, to events for which formal or elegant attire is required, in these cases an analog watch therefore becomes a must have at which can’t be renounced. Instead digital watches are much more resistant because they haven’t gears but chips and generally have much more functions than the analog counterpart. They are more intuitive and easily readable, more suitable for a daily lifestyle. MECHANICAL MOVEMENT, AUTOMATIC OR QUARTZ? This distinction is decisive in the choice of the wrist watch that you will go to buy, because each of these three types of movement have some pros and cons not negligible that now we will go to see together, but first we see the main differences in operation. The mechanical movement is characterized by the absence of a battery, the watch works through a small spring that will be wrapped every time. These are traditionally crafted timepieces that can give great satisfaction. The automatic movement is also characterized by the absence of the battery, and in this case the watch will be powered by the simple movement of the arm without which the watch will remain in operation only for few days or at most a week in the best models. 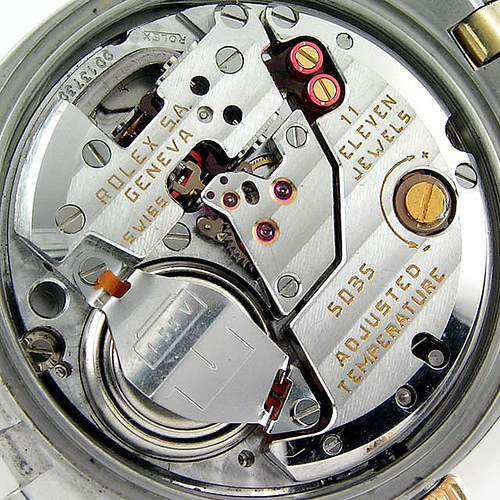 These types of watches are made up of a mechanical component. Finally, the quartz movement that I prefer, is the most reliable and precise movement. It works through a battery and charging persist much longer than the aforementioned. NO BATTERY NECESSARY: In this case it won’t be necessary to use batteries. So for those who hate to change the battery this might be a good choice. SMOOTH MOVEMENT OF THE POINTER: With this kind of movement forget the classic ticking of watches, tipical of quartz movement, in fact the sound is very sweet and smooth. CHARACTER: These types of watches are refined and tasteful from watchmakers whose tradition has been handed down for years. If you love the craftsmanship this is your choise. NECESSITY OF REGULAR WRAPPING: To ensure the watch continues to work, it must be rewound at least once every two days. DELICACY: This kind of handcrafted watches are very delicate and susceptible to impacts, magnetic fields and dust, so you have to be very careful. LOSS OF PRECISION: If well built these models can have an accuracy of 99.99% but over the years it becomes necessary to make a small tuning from a watchmaker. COST: Being craft models the cost can only be high, but is justified by the work that is done for each piece. For these types of watches, handcrafted, the cost for many people is not a cons. 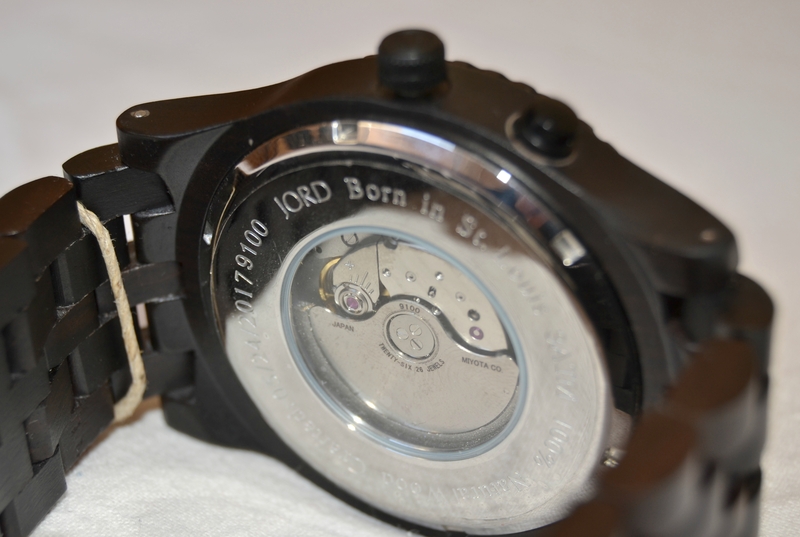 NO BATTERY REQUIRED: These models do not require a battery cause the watch work by the movement of wrist or arm. SMOOTH MOVEMENT: As for the craft models, even this type of watches do not have that ticking that for someone can sometimes be annoying. NO NEED FOR MANUAL INTERVENTIONS: Unlike handcrafted models, this type of watch does not require any rewinding to perform its function. DELICACY: Even this type of watches like those with mechanical movement are very delicate and susceptible to dust, shocks and magnetic fields. LESS PRECISE: This movement loses reliability over time and recalibration becomes necessary. EXPENSIVE: Being a very precise and laborious engineering work, the price can only be high. PRECISION AND ACCURACY: This kind of wristwatches with quartz movement are the most accurate on the market, the precision with which time is counted becomes the main characteristic for the choice of the watch. RESISTANCE: Compared to the movements listed above, the quartz movement makes the watch less susceptible to environmental conditions and impacts, making it more durable over time. COST: With this kind of movement it is not difficult to find watches of good quality just above one hundred euros. TIC-TAC SOUND: Maybe it will not be for everyone but many are annoying the Tic Tac that characterizes this type of wrist watches unlike what we have seen with the other movements. BATTERY: These models require no special maintenance except for the battery that will need to be replaced from time to time. The crystal is another element of the wrist watch that we can not neglect when we intend to buy a timepiece, cause in reason of needs one material could be better than another. Plastic or acrylic is generally used mostly in the creation of digital watches as it is very resistant to shocks, although on the other hand it has poor scratch resistance. Watches whose crystal is composed of this material are generally also very cheap. The mineral is whether we want a middle ground between plastic and synthetic sapphire, as it is very resistant to both impacts and scratches. The latter, however, are not easily repairable as for the plastic so it is good to be careful. Finally, the synthetic sapphire is certainly the most prestigious and refined material of which the crystal of your watch can be composed. Difficult to break with the impact, obviously it is not unbreakable so the attention is never too much, especially for the high price at which these watches are sold. Stainless steel is a very resistant material, difficult to chip but also heavy. Most of the good quality watches are made with this alloy that does not always increase the price. Titanium, unlike the above material, is much easier to chip and hard to repair, is significantly lighter than steel but also very durable. Finally, gold is an alloy that greatly increases the price of the wrist watch you intend to buy, very resistant precious and refined, you can also have three colors between rose, red, and white GOLD. The strap is an element that gives a touch of class more to the wrist watch, it can be of four materials, leather, nylon, rubber and metal of various kinds. Leather is more used in watches whose central theme is certainly tradition and elegance. A watch with leather strap is definitely a must have in ceremonies and events of etiquette, but attention to the resistance of this material. Nylon and rubber are materials used in the production of cheap watches, most used for digital watches and easily available. Metal as titanium, steel or even 18-carat gold, is a material that weighs down the watch and gives it a more sporty and casual look. Surely it is the most resistant among the above and the most recommended in my opinion for the purchase of your new watch that is for men or women. To conclude this mini guide on how to choose a wrist watch I will show you the main functions that a good quality watch must incorporate. Luminescent POINTERS: To facilitate reading even in dark environments. 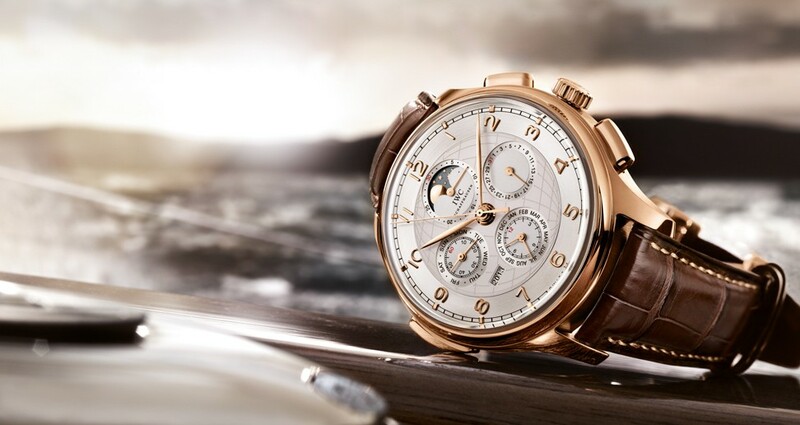 The date: A good wristwatch has indicators of the day, week, month and year easily settable. The alarm: Recently also the prerogative of analog WATCHEs. The stopwatch: Characteristic mostly present in digital watches for sports use. GPS: GPS watches are used to monitor and improve sports activity. Water resistent: This kind of watches are resistant to water and according to their quality they can be immersed in more or less deep waters. Today almost all quality watches are water resistant. In general there are many other extra functions but these are the main ones you will find in most good quality watches. Now that you know how to choose a watch, do you want to know what market offers? Thank you for reading the article, if you found it interesting share it through the social buttons that you find below and subscribe to my newsletter to not lose my next articles!